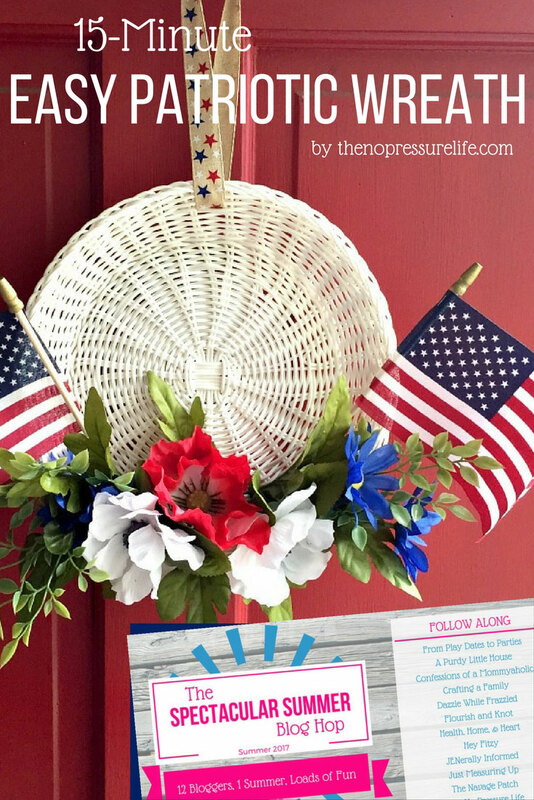 Heading to a cookout for Independence Day this year? Or maybe you’re hosting a party yourself. Get in the patriotic spirit with these 15 super-fun red, white, and blue 4th of July dessert recipes! Hi there. My name is Leslie, and I like to play with my food. Well, more specifically, I love to see how to make food work within a theme. And one of the most fun themes to work with is July 4th. 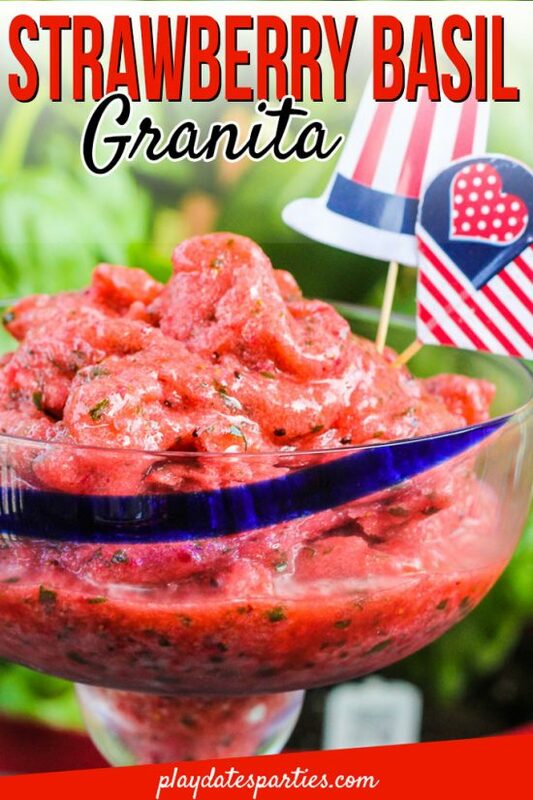 Between the abundance of fresh produce that is in season during the summer, and the creative ways you can color your food, there are seriously hundreds of 4th of July dessert recipes you can try. But you don’t have to worry about that, because I’ve pulled together 15 of the very BEST July 4th dessert recipes. Seriously, whether you have 3 hours or 30 minutes to make something fabulous, it’s here, so read on! It happens to the best of us…we sign up to bring something to a potluck and then forget about it until the very last minute. No worries! Here are 15 July 4th dessert recipes that can be thrown together at practically the last minute. You know, we always think to make chocolate bark during the holidays, but what about for other events? I’m in love with this Easy Patriotic Bark from What the Fork Food Blog. It’s a great twist on a true classic! When Dancing Through the Rain submitted their Patriotic Snack Cakes to me, I couldn’t wait to share it. Seriously, I’ve never seen store-bought snack cake look more perfect for Independence Day! There’s not much easier than dipping pretzel rods into some white chocolate and covering them with red and blue sprinkles. Plus, they’re a huge hit with the kids. We served these patriotic pretzel rods at a July 4th party that was filled with sweet treats galore. Why is it that things on sticks are instantly more fun? And with no baking required, Firecracker Fruit Kabobs by Mission: to Save, are a treat the kids will gobble up. If you need something even easier than chocolate bark or fruit kabobs, here you go. Patriotic Snack Mix by Centsable Momma uses only 6 ingredients and one bowl. Less than a couple minutes of mixing and you’re ready to go! Looking for July 4th desserts that will be total show-stoppers? These 5 recipes will keep your guest talking for weeks to come. Simple and stunning, no one will complain about 4th of July Firecracker Jello Cups from Cincy Shopper. Don’t be fooled by the photos, she used 2-oz plastic shot glasses to make just the right serving size! It’s not what’s on the outside of these brownies that will have your guests talking. It’s definitely the surprise inside! Head on over to The Monday Box to get all the details for how to make your own Patriotic Surprise Inside Brownies. Go ahead! Bring the flag to your July 4th BBQ. I love that this American Flag Strawberry Blueberry pie from Delicious Table is made slab-style, which is perfect for large get-togethers. Plus, it’s just plain gorgeous to boot! Aren’t these Patriotic Cotton Candy Ice Cream Cone Favors from Tikkido just the cutest?! I know my kids would be fighting over them (and then would gobble them up before the humidity could deflate the cotton candy) So fun! The layers on this White Chocolate Raspberry Jello Cake by Or So She Says are just incredible, aren’t they? You could even try making the top layer with blue raspberry jello for a truly patriotic twist! Your guests will wonder how on earth you turned such classic treats into the crispy, crunchy bits of sprinkle covered awesomeness that is Patriotic Cookie and Brownie Crunch by The Monday Box. I encourage you to head over and read the whole post. It is a wonderful reminder of why we celebrate our freedom and how important it is to remember our troops. No one wants to worry about their waistline during summer bathing suit season. Here are a few July 4th dessert recipes that will keep those calories in check, without sacrificing flavor. I love the idea of bringing something that looks like a crowd-pleaser, but is secretly so healthy for you. And this Low Carb Berry Cheesecake Salad by Low Carb Yum fits the bill with fresh berries, and just enough dairy to taste the cheesecake flavor. Which of these July 4th dessert recipes will you be making? It all looks great, but I think my favorites are the brownies and the pie. Thanks for sharing at the What’s for Dinner party – have a great week! What a fantastic selection of 4th of July Dessert Recipes. There are several here that I want to make. Thank you for sharing at Happiness is Homemade. Fun recipes! I’ve pinned this post. I followed you here from I’m an Organizing Junkie. Have a beautiful day! Great round up! So many creative ideas that it is hard to choose. I will leave that job to my son and help him execute. Pinned! So many good ones. I think the fruit kabobs are my fave. These look so fun! (I like to play with my food, too!) 🙂 Pinning!! Great ideas! As a chocolate-lover, I’m eager to try the surprise red white and blue brownies. Visiting from Feathered Next Friday. I love red, white, and blue food! It all looks so fun. Hubby and I host an outdoor 4th of July breakfast each year. Thanks for sharing these great recipes with SYC. So many delicious desserts to choose from! Thanks for sharing at the Summer Fun Linky with us. We try to make some sort of 4th of July cake each year. Pinning for ideas. Just wanted to let you know that your post was one of my featured favorites today from the Summer Fun Linky at Our Unschooling Journey. Thanks again for linking up with us. These all look amazing and such great ideas! Thank you for sharing at the Friday at the Fire Station link up. You will be the featured post this week! Such good ideas! Thank you for rounding these up for us. I’ve pinned this post to my Independence Day board. Great roundup. We have a cotton candy machine, so I love the cotton candy cones.